Guests enjoy a walk down a tree lined avenue to reach this meadow enveloped marquee site. 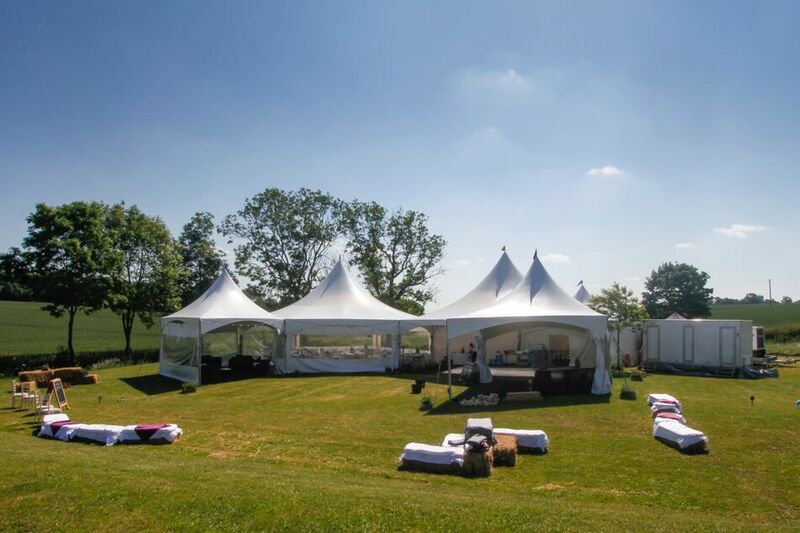 Landscaped in 2013 with the specific aim of creating a rural event idyl this immaculately maintained venue is the perfect location for a wide variety of events. An expansive prepared plateau sits in the corner of a field surrounded by uncut grasses. A wide mown avenue leads down from the car parking and glamping areas at the field head, excellent access for caterers and vehicles during preparation and a wonderfully dramatic approach on foot for guests. A high end cycling cafe on a different part of the site can provide a catering service but the site is free of any supplier restrictions. Glamping or self camping options exist with onsite toilet, shower and breakfast options available.